With social media changing how people do business, I would like to share 5 reasons to get a professional website in 2019. Getting your business online is a must if you plan to sell products or offer services this year. If you are not online people will not see you and will chose another business over yours. This brings us to the first of our reasons to get a professional website for your business this year. Another reason to get a professional website for your business is to boost your presence on social media platforms such as Facebook and Instagram. 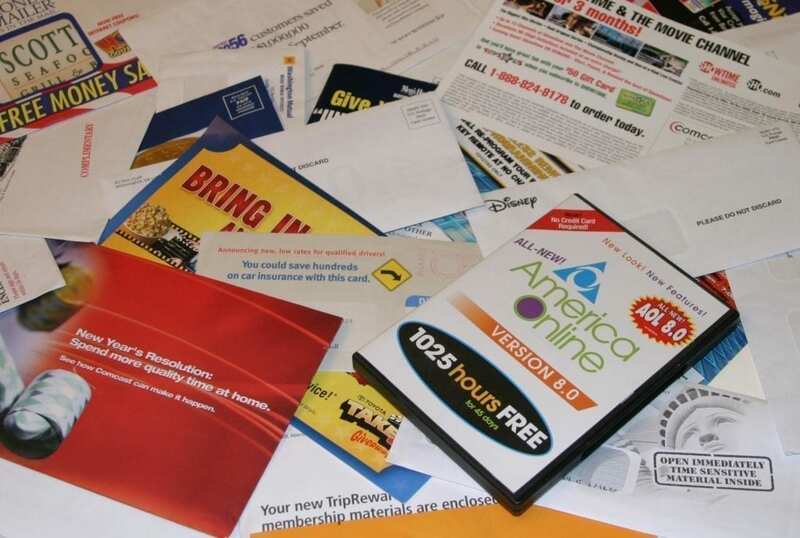 If you are printing flyers and paying for newspaper ads – STOP. You should not do this without a strong online presence as it is an extremely costly way of doing business. Say no to Junk Mail. Leave flyer drops where they belong – the 90s! Instead you should assign your marketing budget to targeted ads that drive traffic to your new website and to your social media profiles. This method of promotion is much more cost effective than flyer drops and will reach people who are interested in the services you offer. When you have a new professional website you can prepare it for SEO (search engine optimisation) which will allow you to tailor how it appears in Google. You will define who your target audience is and will pack your website with keywords (words and phrases typed in to google by potential customers). You can then use Google Ads to show up first in google for those keywords. For example if you sell wedding dresses you could pay google to list you 1st when people type “wedding dresses” in to the search bar. As you can see in the image two businesses show up immediately in the search result and it is highly likely that people will visit these links as they are deemed highly relevant by google. You can also drive traffic to your website through placing social media ads and ultimately share exactly what you offer with people you want to do business with. On that note lets move on to the second reason you should get a professional website. Anybody can create a business page on on social media but adding a link to a professional website to your Facebook Page allows your audience see that you are a legitimate business. This will help you to build trust with all of your fans and will encourages them to contact you. Social media has transformed how we do business and how we connect with people from all over the world. To get noticed by potential customers it definitely helps to have great branding and a professional website. Your new website should instantly showcase what your business offers, a history of the business and how you would like to be contacted. All of this information should be easy to read across a variety of devices so that people using their phone can read your content. If you do not have a website I highly recommend that you get one as soon as possible to ensure that you capture your social media audiences. If you have a website that is difficult to navigate or is outdated I would recommend removing it from your Facebook page. You need to spend some time making your website reflect your offerings or otherwise you are wasting your time promoting it through social media. If you are finding that you do not have time to update your website then get somebody else to do it for you – it will be the best money you spend this year as you will see a dramatic increase in engagement. Just try to remember that online nobody knows who you are or what you do. So this year make things really simple and share your offerings so that people can contact you when they need your services. One of the main reasons to get a professional website for your business is to get more customers in 2019. Are you sitting by your phone waiting for that dream customer to call? Or are you in a store waiting for passers by to pop in and buy your products? STOP and change your strategy today. Your new website is a great way to let people know the best way to contact you. You can specify days, times and can even offer them a free call back if you like. If you are not on Facebook and Instagram get on them today. Make your business profiles and add your contact details. Then in your new website you should include your social media feeds so that visitors to your website can contact you via their preferred social media platform. This will dramatically improve your monthly reach and will enhance your customer engagement. When you are getting your new website built make sure that you include a business address. This will open up a whole world of new customers as I will discuss in the next point. You can attract lots of new customers and increase footfall to your business by adding your business to Google maps. When you are making your new website you can include a google map to your business so that visitors can easily navigate to your address. You can also come up as a suggestion for local businesses / attractions when a person uses Google maps through submitting your info to Google My Business. This is an incredible way to increase footfall in your store or get bookings for your service. Adding your address details to as many places as possible online will help people see your business in searches, as Google favors websites with map info. Another reason to get a professional website is to try reduce your advertising costs. This is covered in the next point. When you advertise online you can choose to pick a specific niche to target. Targeting niches is an excellent way to reduce your advertising costs and improve your return on investment. Getting your website online can take as little as 7 days and with the right advertising strategy you could be ranked number one in your niche in as little as 6 months. This will dramatically increase your sales and in turn improve your cashflow for 2019. Don’t delay consider a new website today. We would love to connect with your business and answer any questions you may have in advance of getting your new website for 2019. I hope that you enjoyed this article and now understand the reasons you should get a professional website. If you have any questions please get in touch through the button below or browse our business services HERE.